You have THE Rogers kit I should own. man, for some reason i can't get this thing to let me display my pics, im probably just not doing it right, BUT, here are some links to four pics of my 69 Ludwigs. I recently aquired another 4-piece kit the exact same in year (1969) and color (champagne sparkle) so its now an 8 piece kit, i just haven't had the time to get new pics on here. Tell me what ya think! Thanks! sorry quoted the wrong one! the one were it looked all cartoon a fied! werd u make them pics? Here's an old Leedy kick in the midst of restoration. Still needs a few lugs. 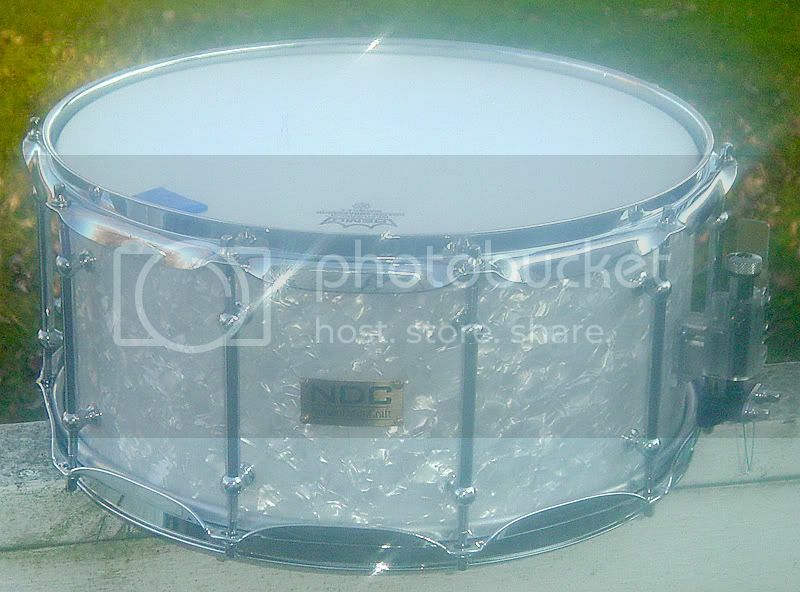 This is a WWII era Slingerland kick that I restored for a customer. This is a 70's stopsign badge Gretsch kit that I restored. It had been re-wrapped in black, and all kinds of extra holes drilled. 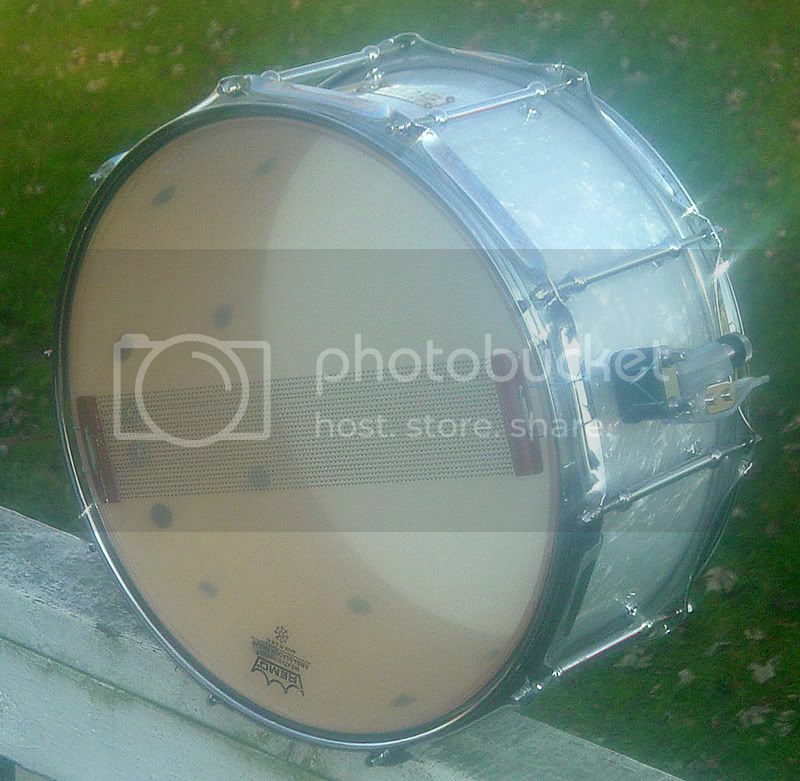 I converted the 14" tom shell into a 5x15 snare drum. 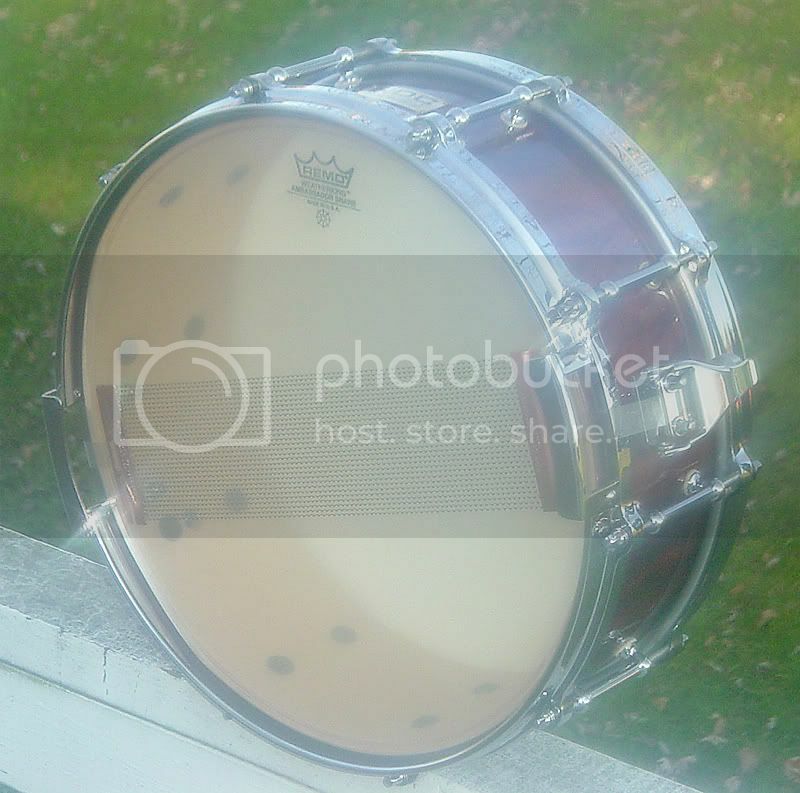 A tom and bass drum from a WWII era Slingerland Radio King kit. Check out the snare below. The Holy Grail. Another shot of the restored Gretsch kit. 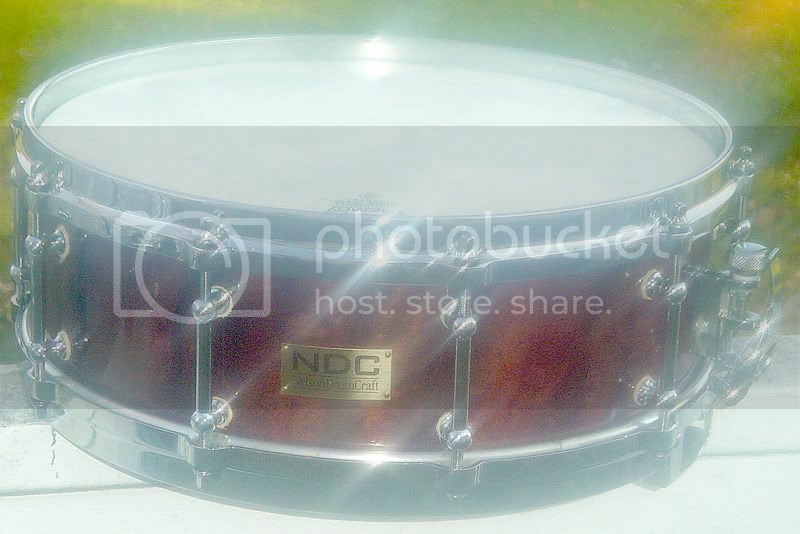 Some more shots of some restored drums, as well as a few of my own custom-built snares which have "vintage" looks. ...my 1930s Leedy Reliance. 5.5x14 spun brass shell. Warmth of wood, crack of brass. ...yes. A 1920-ish engraved Ludwig Black Beauty. Not mine. Appraised for $4,000. 1960s Chrome over brass Rogers DynaSonic. Sold. An old 60s Rogers Holiday floor tom. Project drum. Sold. my first kit (if you call it that)..back in 1983..my Remo PTS (pre-tuned system) ... not sure if they even sell these anymore..couldn't even tune them..just clips..i saw a louie bellson video recently and he was using these..video was from the early 80's i think. this is my 68 ludwig kit. black oyster finish, 22 inch bass, 13 and 16 inch toms. i also have a twelve inch but i don't use it. 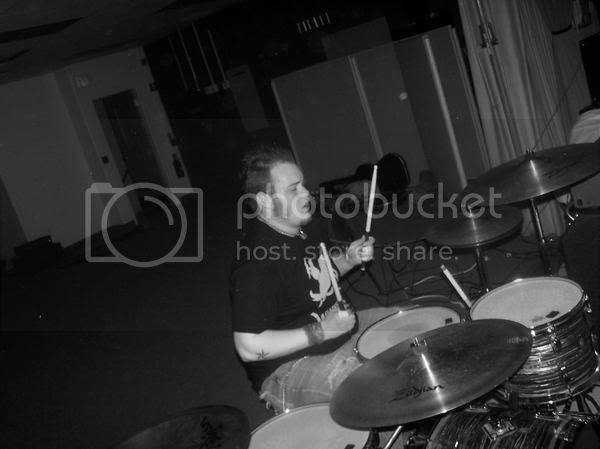 ive been playing these drums since i started almost 10 years ago. they still sound amazing. I don't play these antymore for the simple fact that I've just built a new kit. So I cleaned them up and covered them, I'm looking forward to selling if anyone is interrested. Nice drums. How many Kits total? 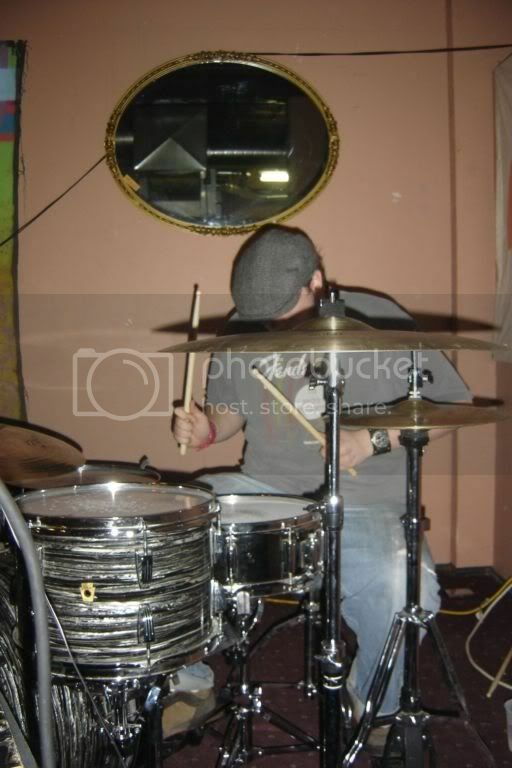 ThePloughman wrote: Nice drums. How many Kits total? I have the vintage Ludwigs, a Rogers "Big R" from the mid to late '70s, a beat up Pacific that i keep in the band room for band rehearsals for the fact that there is no security up there, and my "babies", a DW collectors in Candy apple to tobacco fade over curly maple. I also have an electronic Roland V-drums that i'm looking to sell! SHOGUNWARRIOR32 wrote: my first kit (if you call it that)..back in 1983..my Remo PTS (pre-tuned system) ... not sure if they even sell these anymore..couldn't even tune them..just clips..i saw a louie bellson video recently and he was using these..video was from the early 80's i think. I've never seen or heard of these ,how do the clips work? I recently saw a book called "Beatles Gear" which is a very detailed book about all of the Fab Four's equipment. All of Ringo's kits from that era are featured (he still owns them all!!) and the early kits were indeed Black Oyster. 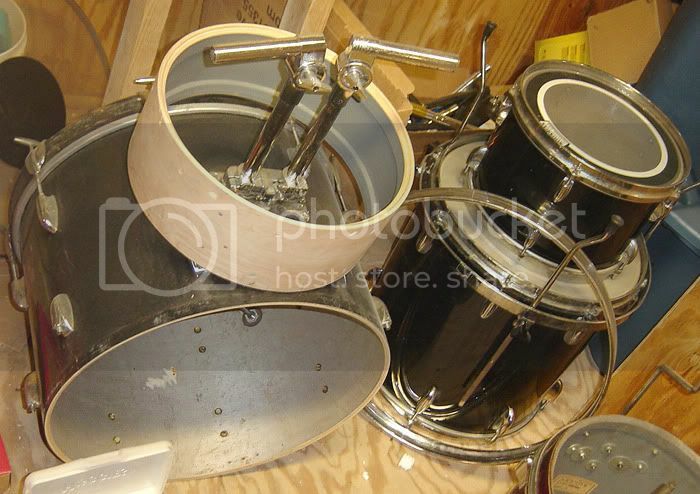 He had 2 kits with a 20" Bass drum, and later moved to a 22" (by 1966). A cool book if you can find it. Here's a Drumkit I recently found in Phoenix,AZ. for $450.00 plus sales tax at a local guitar shop.